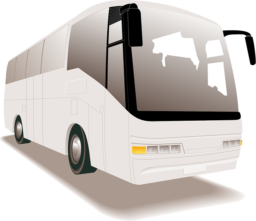 VicBus specialises in bus and coach charter hire. VicBus is the premier local Melbourne bus charter company servicing Melbourne’s CBD, Northern, Eastern, Western and Southern suburbs, Tullamarine airport, Yarra Valley, Peninsula and Victorian country. Our fleet ranges from mini-buses up to 57 seater coaches. Regular servicing and accreditation ensures reliability and safety for our customer. We offer utmost affordability for schools, businesses and private customers. Where can VicBus take you? I recently book a bus for a University course. Vicbus were really understanding with the changing numbers and worked with us to transport everyone. Prompt, reliable, and courteous. From the booking til drop off, everything was hasslefree. Special thanks to our driver David.